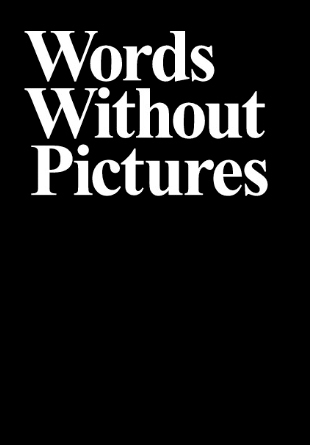 Words Without Pictures, the online essay, discussion and interview site created by the LAMCA Photo. Department, Charlotte Cotton, Alex Klein and Stephanie Ford, is now available as a book. While originally available as PDFs on the site, the essays along with new content, transcripts of discussions at the LAMCA, and reader responses, have been compiled into a fantastic book. Evolving out of Cotton's equally engaging, but now defunct site, Tip of the Tongue, the anthology brings together some of the most prominent contemporary photographers and critics - including Walead Beshty, Jason Evans, Charlotte Cotton, George Baker, Sze Tsung Leong, Paul Graham, Shannon Ebner, James Welling and many more. Rather than seek a publisher, the editors have taken the rather brilliant move and used lulu, the print-on-demand service, to print and distribute the book. Considering the project's effort to offer a contemporary assessment of photography and photographic practice, the effort to bypass a more institutional publisher, and publishing's frequent lag time, is smart. As probably the most interesting, and fiercely contemporary, book on photography I've read in a while, I love the risk the book takes. 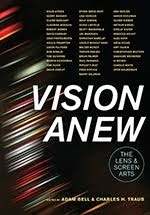 Rather than offer safe assessments of photography, the essays map and explore new territory in photography. Charles Traub and I were lucky enough to contribute a small part with an excerpt from our book - The Education of a Photographer - in the questionnaire section. While very different from our somewhat theory-averse book, WWP led me to reflect on the challenges of putting together a book of this nature and more broadly how texts shape the medium. One of the difficulties of editing any book on photography, where accepted truths and texts are well established and entrenched, is creating something new. By staking a claim in the present, WWP does not attempt to usurp the canonical texts of photography, but rather offer new ones that grapple with the issues shaping contemporary practice. For our own book, TEOP, we intentionally excluded certain texts that still dominate most photography anthologies (i.e., Sontag, Barthes etc...) and tried to compile something more idiosyncratic, diverse and unique. Limited by budget, we could not get a lot of the pieces or include certain photographers we wanted. Given these limitations, we made an effort to get pieces that didn't just discuss someone's work or retread know issues, but touched on something deeper about what it means to be a photographer. It's often hard to follow the life of a book as it enters the world. Is it possible to shake off the ghosts of the past, or does one just learn to live with ghosts? Even with a publisher, understanding how, when or if a book has been received and digested can be hard to parse. My only concern with WWP, as a print-on-demand book, is that enough copies enter the world, so that its prescient and diverse discussions, raised so eloquently, have the opportunity to percolate, ferment and enter the contemporary dialogue shaping it for years to come. I read a number of these essays online and found them very interesting - the comments also. Indeed, I quoted one or two in my Masters. One way to approach to this is, while still producing a book through such on demand platforms, to limit the number and sell them personally rather than through the Blurb/Lulu. This also allows a greater quality control - I have seen and recieved some poorly set out books from Lulu in the past, once with someone-elses book printed in the middle section of the book I had ordered! Thanks for the comment. Printing and selling the books yourself is definitely a good option - but may decreases the potential reach of the book as well (depending on the quality of the work, distribution and your marketing). Rob Hornstra is a good example of a successful contemporary photographer who prints his own books and funds them with advance sales and print offers. With all its problems, POD is still an exciting option for photographers, artist and writers.